Ever wonder what the pros and cons are with the commercial modular building trend? Why even consider using modular buildings if the cons outweigh the pros? For any type of business, whether a startup or existing, finding out all your options for saving costs and time is definitely something to consider. Wilmot Modular is a small business and can relate to the everyday concerns of cost. At times, employees end up wearing 3-4 hats managing time to work on the business rather than in the business. Small businesses have at least one thing in common – we need to make a profit! This guide will help you make the best money-based decision when it comes to considering a modular building for your business. If you’re unfamiliar with the components that differentiate modular construction from traditional construction, read Offsite Construction Planning Solutions for a deeper look into the world of offsite construction. Saving Money – Construction costs can feel overwhelming, especially when you’re on a tight budget and unexpected costs keep popping up. Modular building construction results in a lower cost of labor due to the nature of the building process and because they are typically mass produced! Additionally, modular structures require less maintenance and are more sustainable. All these factors give you significant savings in the long run when compared to traditional construction. 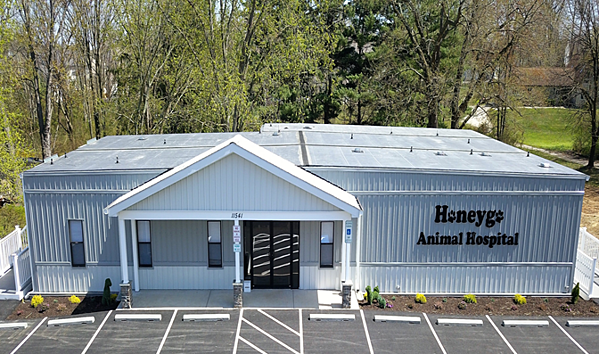 Saving Time – The construction of modular buildings is not as complex as traditional site construction, which allows you to capitalize on the time saved. Often times, construction sites are affected by rain, snow, and even vandalism. Fortunately, modular units are built at an offsite factory and site preparation typically takes place at the same time as the modular units are being assembled. This results in getting quality modules in a timely manner. As an added bonus since you get to operate from your modular sooner than a traditional building, your return on investment is expedited too. Efficient Communication – Traditional construction sites involve professionals from various industries. It can take an average of 22 subcontractors to construct a building! However, in a modular construction project, the same team works together on multiple projects. This leads to consistent expectations and improved communication between the team and your business. 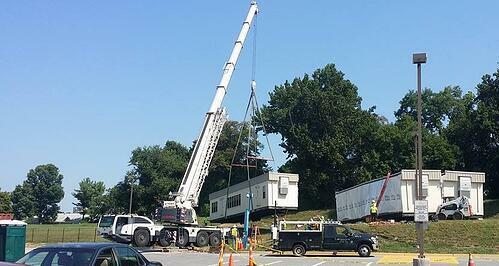 Limited Service Area – One of the greatest benefits of modular buildings is that they are portable. However, shipping and transportation costs may result in a company’s limited service area. It is important to make sure the modular building company you choose to work with has an infrastructure of factories and site contractors in the area of your building site. Unclear Zoning Rules – City zoning codes may be confusing or outdated in your area when it comes to modular buildings. This will require some research in regards to zoning rules and building ordinances beforehand. An experienced modular building contractor understands the questions to ask each local jurisdiction and may even have contacts to help minimize the bureaucracy often encountered with government regulators. Limited Familiarity by Contractors and Subs of the Modular Construction Process – The modular building process requires important design decisions to be made at the beginning of the project and limits the capability to customize or make changes after the construction process has started. As an experienced modular contractor, Wilmot Modular Structures understands that nuance can eliminate many unhappy customers and frustrated contractors by making sure value engineering is used in the process and all parties are working together when making early design and execution decisions. Site Challenges – Before laying down the foundation, you may run into the disadvantage of having an uneven site. This means you’ll need to have it leveled. Sites will also need to set up electrical connections, city water hookups or finding a water well, which are additional expenses and can all pile onto the stress you might already be feeling! Another challenge to consider how important it is to have an experienced modular contractor who knows the intricacies involved with site development. They will be working with local jurisdictions and subcontractors on how to best handle site preparation for your modular building project. Knowing the entire process from start to finish is important for making a good decision. We want to provide you with enough information to have expectations of how your modular building process looks.